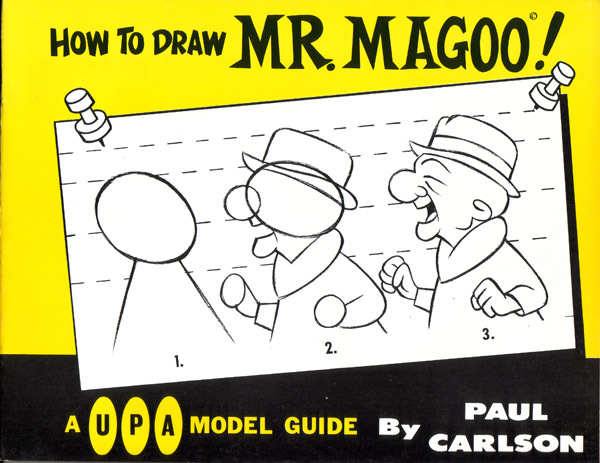 Madison Avenue had a long and fruitful relationship with Mr. Magoo, who served as a pitchman for various products and services over the years. 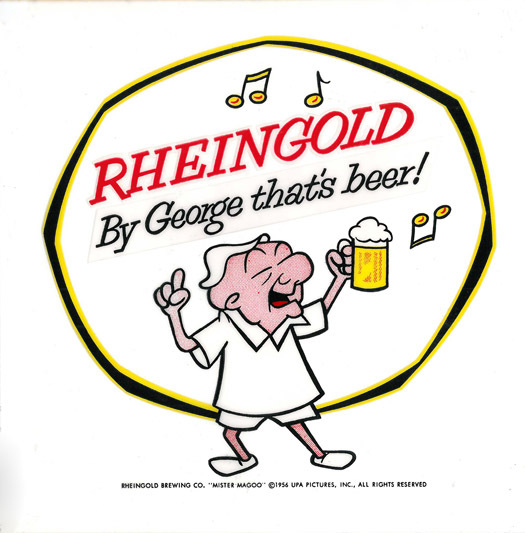 His first campaign, as discussed in a previous post, was for Rheingold beer in 1956 as the brewery tried to break into the Southern California beer market. RCA used him to put out a record, Magoo in Hi-Fi in 1957 and a year later, Carling Brewery enlisted his assistance to sell their beer throughout the Midwest. 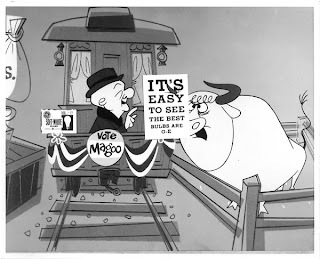 1960 found Mr. Magoo promoting cancer awareness in a 15 minute film for the American Cancer Society, Inside Magoo. 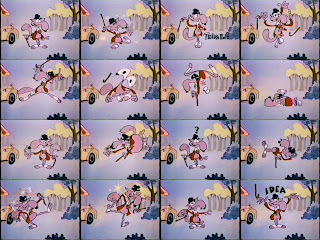 Henry G. Saperstein took out a license on Mr. Magoo in 1959 and ended up buying the studio a year later. His licensing acumen resulted in the decades-long campaign for General Electric light bulbs starting with Magoo’s feature film, 1001 Arabian Nights. In a brilliant example of cross promotion, Saperstein was able to get a tie-in featuring Magoo in his role from the movie selling US Savings Bonds, saying that bonds were "Your Magic Carpet to the Future!". His image appeared on 40,000 Post Office trucks, in banks and in local businesses. As part of his deal to bring The Mr. Magoo Show to television, Saperstein partnered with Kelloggs and at least one commercial was produced for Rice Krispies before the relationship ended. 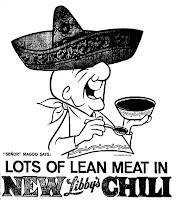 In 1960, Mr. Magoo ran as a presidential candidate in a "Ballots for Bulbs" GE campaign and later appeared on glasses for Welch's Grape Jelly for several years during the early 60s. Timex, as readers of my book and this blog will know, sponsored Mr. Magoo’s Christmas Carol although Magoo didn't appear in the bumpers or commercials. His high point as a pitchman seems to have been 1964, the year in which he again ran for President as part of his GE advertising efforts, promoted Soakie bubble bath for Colgate Palmolive and sold canned and frozen food for Libby’s, who sponsored his primetime show, The Famous Adventures of Mr. Magoo. He was licensed for Fleer bubble gum/tatoo packages in 1967 and in 1977, he appeared in a series of ads for Lazyboy chairs while his GE light bulb campaign continued well past that. Other promotions that Hank Saperstein claimed for Mr. Magoo were as a recruiter for the US Navy (there is a run cadence for the Sea Bees called Mr. Magoo), Blue Shield, the National Safety Council and the American Heart Association. While Magoo inevitably appeared on toys and games, what's interesting is to note how often Mr. Magoo was used to advertise adult products rather than products aimed at children. As Magoo's visibility began to wane, he was used less and less as an advertising icon. He had a brief revival in a 1994 ad for NutraSweet and his last known campaign was to sell eyeglasses for Sterling Optical in 2005. Many of these ads or promotions seem to have been lost; there may even be other campaigns that have yet to be discovered. If anyone has images or videos, please feel free to share them on this blog. 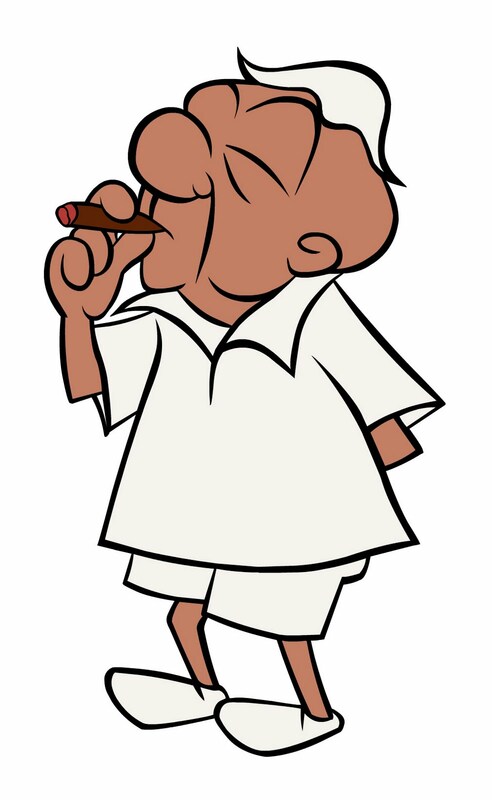 At right is a publicity image of Mr. Magoo from the 1950s, one of many images and cels from the period that show Magoo with a cigar. In this era of political correctness with self-appointed nannies(1) lobbying to restrict choices and re-write cultural history, it’s increasingly difficult to remember that there was a time when images of people smoking were as common as images of people using cell phones are today. Not only was smoking prevalent in daily life but it was seen in movies, advertising and television shows. Even theatrical cartoon characters could be seen smoking from time to time as their intended audience was adults. 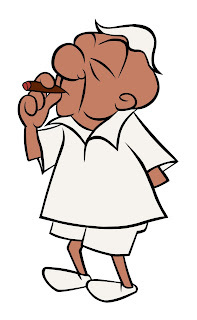 UPA's product was the most cosmopolitan of all the animation studios and their keystone character, Mr. Magoo, smoked a cigar. No one thought twice about it as it was part of his character and a visual shorthand to describe his type. 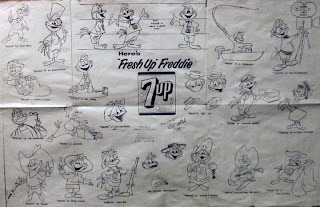 When Hank Saperstein took over in 1960 and changed the studio’s direction, UPA began making cartoons expressly for children. 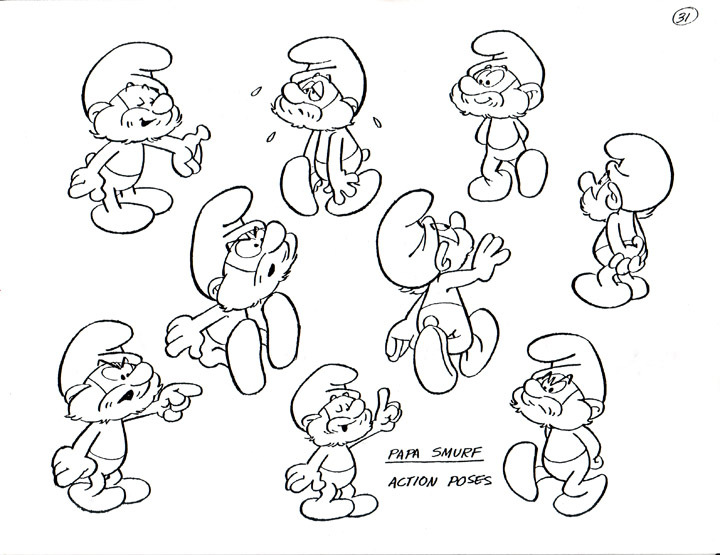 Model sheets from that period eliminated Magoo’s ever present cigar as one of his characteristics. Beyond the idea of a cartoon character smoking, another image which seems to be shocking to modern eyes is the image of a classic cartoon character selling beer, in particular, Mr. Magoo. 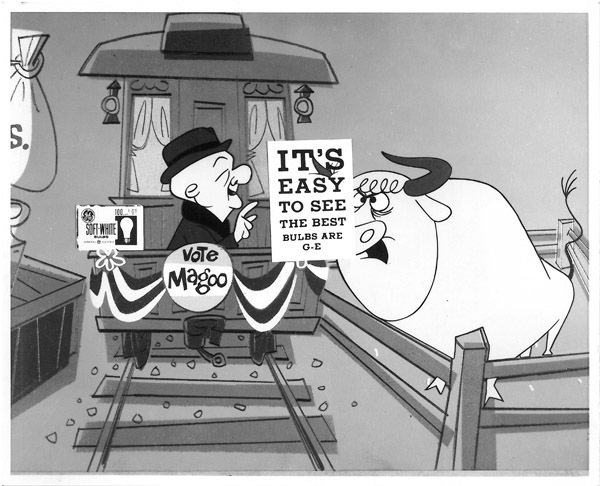 The airwaves of the 1950s were filled with animated commercials which were often more sophisticated than the live-action competition, and Magoo, being a sophisticated product, was a natural choice for an advertiser. 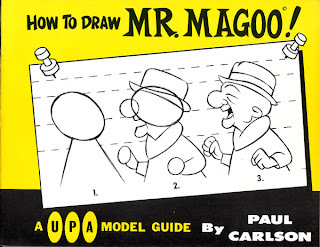 Magoo had the distinct advantage of being a well-known character while the other animated beer salesmen, like Bert and Harry Piels or the Hamms bear which later became advertising icons, had to be built from the ground up. Today, headlines on Youtube proclaim the Magoo beer commercials as being “banned” due to content but the fact is they were never banned but stopped airing when the advertising agency moved to a new campaign. 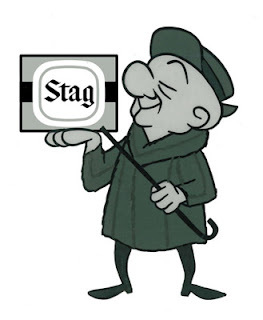 Many people are aware of those ads but it turns out that Mr. Magoo was selling beer even before those spots. It started in early 1956 when ad agency Foote, Cone and Belding employed Magoo to help sell Rheingold beer, the first time he was used in any advertising campaign. In that era, the market for breweries was mostly regional and Rheingold billed itself as “New York’s beer”. However, the trade announcement for the Mr. Magoo campaign specifically mentions the Southern California market using “TV spot announcements and newspaper ads”. 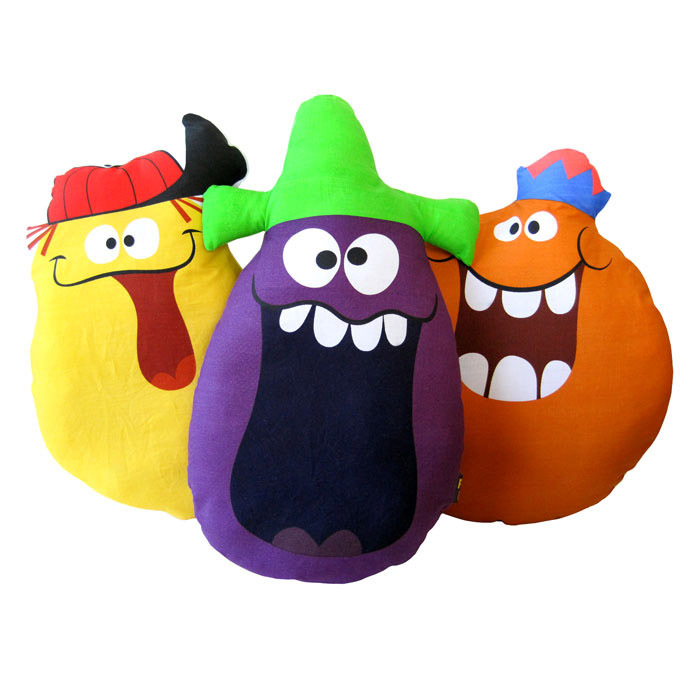 The 60 second commercials were directed by longtime Magoo director Pete Burness and the announcement indicated that there were ten planned for the series. One featured Magoo mistaking the Mojave desert for the seashore while another had him confusing an oil derrick for the Eiffel Tower on a balloon trip to Paris. 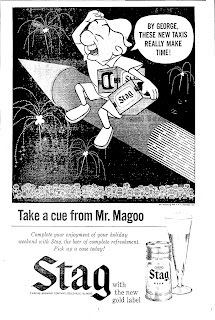 Magoo was a natural to join the list of celebrity Rheingold endorsers: in 1956 alone, the brewery used Dorothy Malone, Victor Borge, Tommy and Jimmy Dorsey, Van Heflin, Cole Porter and James Mason to promote the brand. 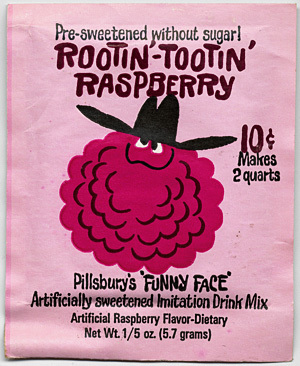 The print ads for the celebrity endorsements were full page magazine ads; in the Southern California market, Rheingold bought thumbnail sized ads promoting television programs in the TV section of local newspapers. To date, very little has survived from the campaign; above left is one of a series of bar mirror or window stickers from the campaign, above right is one of those tiny ads. In 1958, the Carling Brewing Company enlisted Magoo’s aid to sell their brew, Stag Beer, for the Midwest region in a two year campaign. Although Magoo had recently sold beer for Rheingold, neither company had a national reach, either through distribution or advertising so there was no danger of a conflict with Magoo shilling for two competing brands so closely together. Unlike Rheingold, Stag beer had a bigger advertising footprint, taking out half page ads in Midwest newspapers. The Stag commercials have survived on various vintage commercial compilations while the Rheingold spots have yet to be uncovered. A couple of Stag ads can be viewed here. As I discussed in my book, the Carling Brewing Company seriously contemplated sponsoring Mr. Magoo’s Christmas Carol through their Carling Ale division before Timex signed on the dotted line. Timex found their association with Magoo to be even more profitable than Carling and after their stunning success with the first run of the special, ended up being the sole sponsor for another four years. (1) Activists contend that the mere image of a cartoon character smoking will provoke copycat behavior in children. If so, America should be choking under a cloud of cigarette smoke. For well over 50 years, children viewed images on TV of cartoon characters smoking, primarily in vintage cartoons. Instead of the smoking rate increasing, it decreased by almost 50% from the 1960s to the 1990s, when images of cartoon characters smoking were most prevalent. 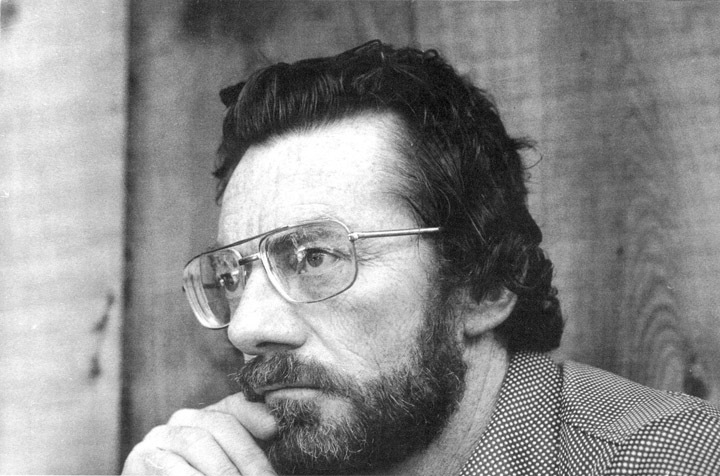 His work may be familiar to audiences everywhere even if his name isn’t. Readers of my book will remember Gerard Baldwin as the sequence director who conceived and executed the show-stopping number in Mr. Magoo’s Christmas Carol, “We’re Despicable”. 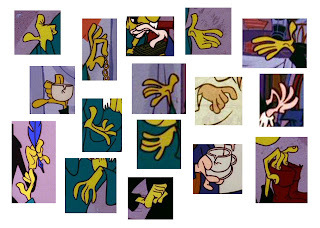 That memorable sequence was but one small moment in a long and varied career in animation. Baldwin’s development as an animator and director parallels that of television animation; he entered the field during the theatrical era but as the animation business changed, he followed, carving a niche for himself in mid-century pop culture. Gerard, a graduate of the Chouinard Art Institute, got his start in animation after being hired by legendary UPA director, John Hubley. His first work for the studio was in doing the drawings between the animator’s key drawings but his career was sidelined when he was asked to serve in the Korean War. 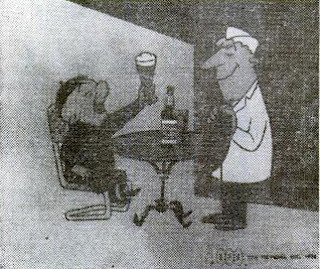 He returned to UPA in 1952, working under Pete Burness, the director of the Magoo cartoons but left for a better paying job at Ray Patin Productions, an animated TV commercial production house. He soon bounced back to UPA to work as an assistant with noted animal draftsman and animator, Ken Hultgren, where his job was to “take Hultgren’s anatomically correct and beautiful drawings and…flatten them out and force them into the UPA ‘look’.” Before long, Hubley approached him about joining Storyboard Films, the company he had founded to produce TV commercials as well as the ill-fated animated feature, Finian’s Rainbow. While there, he was assigned the task of animating Saul Bass’s graphic titles for The Seven Year Itch but it wasn’t until he joined former UPA director, Ted Parmelee at his outfit, Graphic Films, that he became a full-fledged animator. Jay Ward's crazy clock sound effect. Click to enlarge. 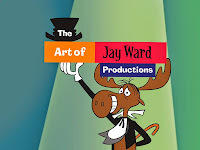 In 1960, yet another UPA director, Bill Hurtz, who was directing for Jay Ward, asked if he would be interested in directing on the series, Rocky and His Friends. 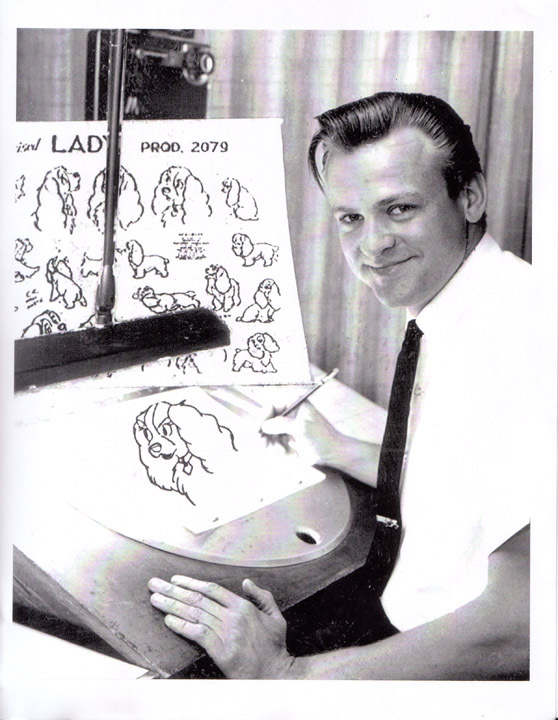 Baldwin, seeing the chance to move from animator to director, agreed and not only directed many episodes for Ward but also animated the titles for Aesop & Son, the titles for Fractured Fairy Tales and most of the pilot film for Hoppity Hooper, with additional contributions by Looney Tunes animator Ben Washam. Several years later, he animated the first Cap'n Crunch commercial. While at Ward, Gerard directed and animated entire episodes of Dudley Do-Right that are, without a doubt, the best and funniest of the bunch. He had a penchant for exceeding the absurdity of the scripts with equal lunacy in his animation approach, due in part to the need to economize because of the low budgets. Baldwin never let continuity between cuts, the number of fingers or even traditional entrances for characters get in the way of telling his story. Characters entering a scene will often slide in rather than walk and his poses are concerned more with hammy acting than anatomical or cinematic verity. Watch The Sawmill episode for all of the above, not to mention perhaps one of the most brilliant three seconds in animation in which Inspector Fenwick and Dudley strive to sort out a miscommunication between the two of them in nothing but multiple cuts of still drawings. Another episode worth a watch is Marigolds, in which Nell Fenwick has two inventive and funny walks that take full advantage of limited animation(1). 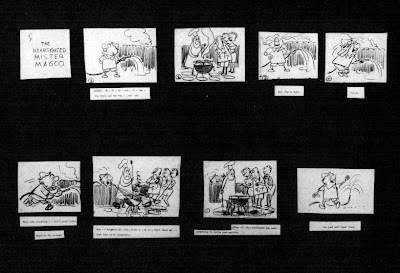 Most who animated under cut-rate budgets settled for mundane execution; Baldwin harnessed the limitations of the medium to his benefit, showing that it was not the tool, but the artist who wielded it, that made the difference. 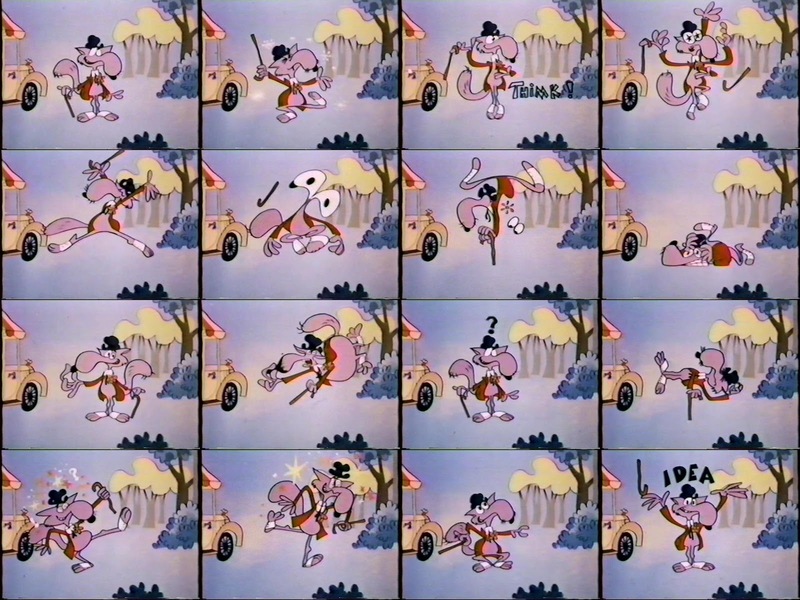 During a dry period between gigs for Jay Ward, he received a call from Abe Levitow who needed a sequence done for Mr. Magoo’s Christmas Carol. Baldwin complied, once again utilizing the low budget as his ally in execution. Some of the strongest images in the number are the shots when the screen goes black with nothing but mouths singing the chorus. Between the darkness of the song and Gerard’s inspired execution, it’s probably the most remembered sequence in the film. 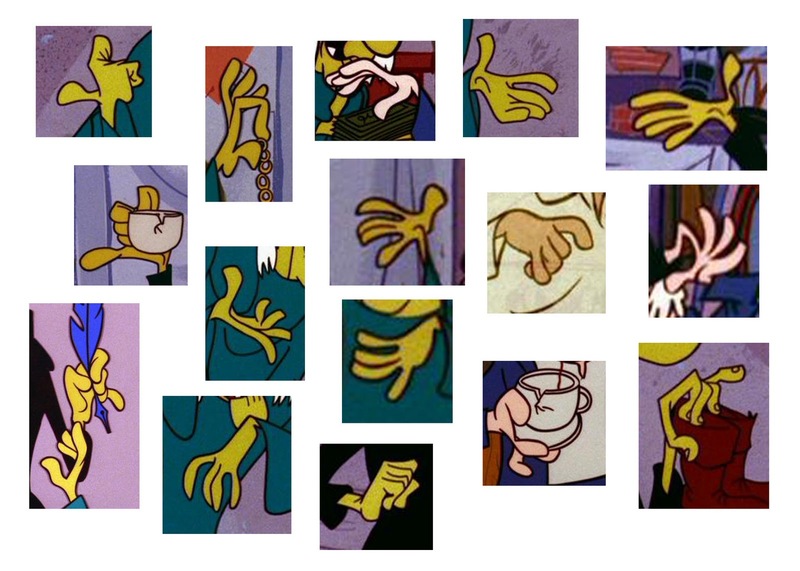 Baldwin's work is identifiable by his expressive drawing of hands, usually with four fingers rather than the customary three, a characteristic much in evidence throughout “We’re Despicable”. Levitow next asked Baldwin to assist with The Famous Adventures of Mr. Magoo. He’s credited as a Sequence Director, the same title he was given on Christmas Carol. Sequence Director at UPA during this era really meant storyboard artist BUT the storyboard artists, in drawing the story, really did dictate the staging, cutting and acting making them de facto directors as everyone down the production line followed those boards. 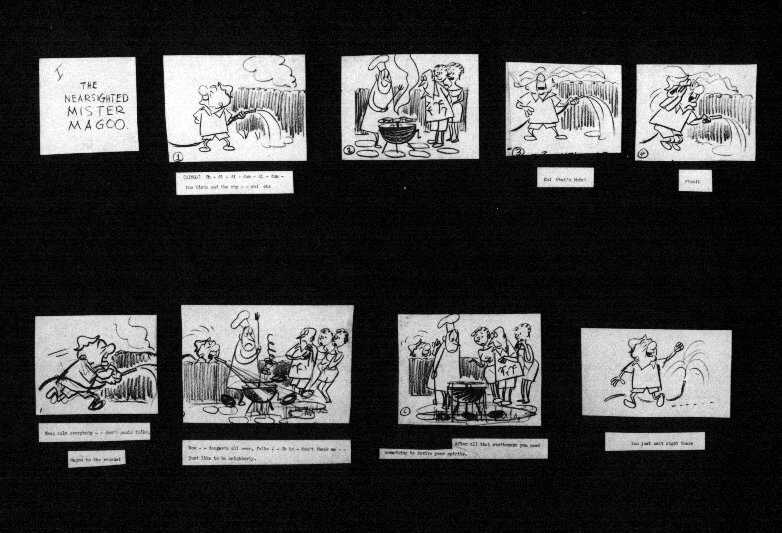 The sequence director did not oversee the nuts and bolts of everyday production-there was an animation director and a supervising director for that. Baldwin, as with Christmas Carol, did not work in-house but would pick up his assignment, drive to his house in Lake Tahoe where he would board the episode and return the following week to repeat the process. Following that gig, Gerard spent a season on Ed Graham's Linus the Lion Hearted. He later animated the pilot for George of the Jungle as well as episodes of Super Chicken and Tom Slick. Gerard continued to move about the industry but for a few years, became the first animation instructor at California Institute of the Arts, the Disney-sponsored art school where many of today’s key players in the industry got their training. Once he was back in the trenches, Baldwin directed the Dr. Seuss Halloween special for DePatie Freleng, Halloween is Grinch Night, winning an Emmy in the process. He soon joined Hanna Barbera, directing industrials and commercials for them before landing as producer of the series that would take NBC from the bottom of the Saturday morning ratings to the top. 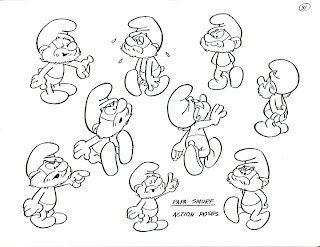 The Smurfs, initially viewed with skepticism by the executives at the network, became a cultural icon with Baldwin as the driving force, again winning an Emmy. As more people piled on to claim success, the show lost its direction but by then Gerard Baldwin had moved on. In 1989, he finally left the animation business entirely, migrating to Texas, where he now teaches at Kingswood College, just outside of Houston. He continues to interact with his fans via gerardbaldwin.com. Forthcoming is his autobiography, to be electronically published in the near future. It’s a witty memoir of his life and career and highly recommended. To stay in the loop for the book, contact him here. (1) Other noteworthy episodes include Flicker Rock and Mechanical Dudley. All of the mentioned episodes can be found on Volume 3 of Rocky & Bullwinkle and Friends.